Long before there was Moneyball, a group of investors led by baseball legend Branch Rickey proposed a new economic model for baseball. Based on an innovative approach to evaluating and developing talent, the Continental League was the last serious attempt to form a third Major League. The league's brief history affords a glimpse of any number of missed chances for America's game. 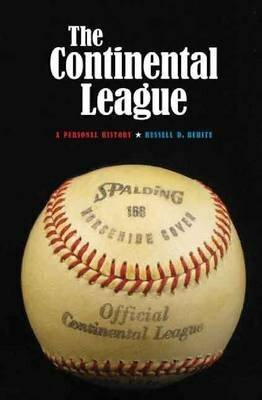 As one of the original Continental Leaguers, historian Russell D. Buhite is--literally--talking inside baseball when he describes what happened in 1959 and 1960. Part memoir, part history, his account of the origin, development, and eventual undoing of the Continental League explores the organization's collective corporate structure as well as its significant role in building a thriving Minor League and forcing expansion on Major League Baseball. Buhite captures a lost era in baseball history and examines its lasting impact on the game.